In her text Antagonism and Relational Aesthetics Claire Bishop looks at the Relational Aesthetics art movement, originally observed and theorized by French art critic Nicolas Bourriaud in the 1990s, through a critical lens as she point out its lack of political engagement. Bishop then explores alternative works which she believes employ a methodology of relational antagonism which is politically engaged and provides a more polemical ground for artists to think about an individual’s relationship to the greater public and one another. Bishop begins by exploring the relational art movement through the examples of works by Rirkrit Tiravanija and Liam Gillick who have become synonymous with Bourriaud’s mode of contemporary art practice. According to Bourriaud the structure of an art work produces a social relationship though Bishop suggests we look at such social relationships through a critical lens which can be specifically related to the construction of such relations and the development of a ‘public’. 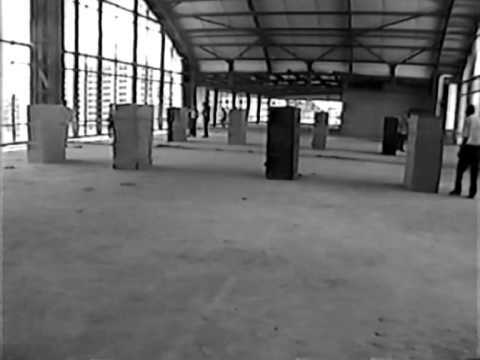 Works such as Tiravanija’s Untitled (Free), 1992 conducted in the gallery space of 303 in New York city provides an example of what Bishop sees at a lack of criticality amongst social relationships developed through art. Untitled (Free) has ‘no inherent friction’ amongst participants due to the fact that the ‘public’ is constructed by the artist and space of the gallery. I highlight the word ‘public’ in relationship to relational art due to the fact that the collective viewership cannot generate a public due to the imposed collective, or community, of people who relate to one another. Bourriaud refers to this phenomena as a ‘microtopia’ which is a community, rather than a ‘public’ which is produced through a common connection amongst people. 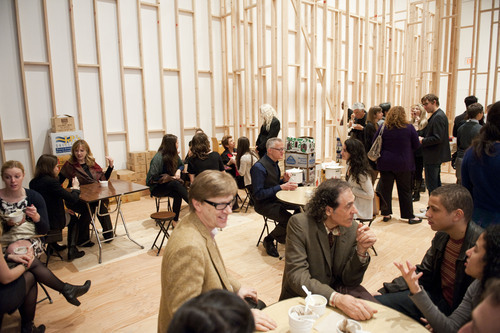 The people that gathered to experience Tiravanija’s work were all connected through their shared involvement in the contemporary art world. This connection prevented the formation of a public which requires a situational randomness amongst group of individuals. Due to the lack of a ‘public’, and therefore the shared consensus, the dialogue being generated by such relational art is not in itself democratic. An alternative to the non-political dialogue generated by relational aesthetics is the antagonism provided by the work of such artists as Thomas Hirschhorn and Santiago Sierra. Hirschhorn and Sierra produce relationships through their work that create a sense of unease and discomfort rather than the microtopias presented by relational art. Bishops references Laclau and Mouffe’s conceptualization of antagonism and its necessity in forming a democratic society which is created out of debate and sustained conflict as opposed to consensus and an authoritarian order. 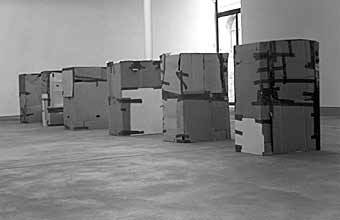 For his exhibition at Kunst-Werke in Berlin Sierra confronted the viewer with a series of cardboard boxes concealing Chechnyan refugees seeking asylum in Germany. The work creates an antagonistic relationship between itself and the viewer through the uncomfortable relationship between themselves and the refugees. This relationship draws attention to larger social and political issues through a confrontation of the public as opposed to the idealized and constructed relationships proposed by relational art. Sierra’s work provides a better methodological lens through which to view social relations to the world and to one another by providing a critical antagonistic interaction as opposed to a pad thai lunch curated for a specific community of subjects.